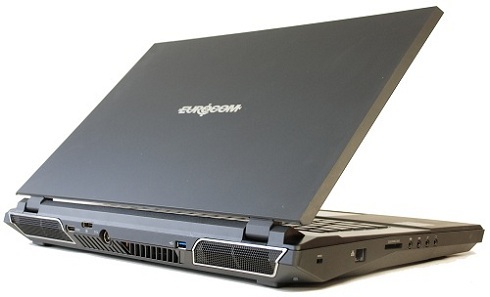 Eurocom (www.Eurocom.com), is shipping a complete line of high performance, fully upgradeable Mobile Workstations specifically designed for the modern Engineer. Supporting the most powerful mobile professional graphics solutions including the NVIDIA Quadro K5000M and K3000M, Eurocom Mobile Workstations are able to run the most demanding engineering and design software with ease, while on the go. “We have customers running Dassault Systemes Solidworks, Siemens Solid Edge, Creo Elements Pro, CATIA and Autodesk Inventor software suites on the go with our line of Mobile Workstations. Thanks to our support of NVIDIA Quadro professional graphics solutions, our Mobile Workstations are able to handle a wide range of professional grade software suites” Mark Bialic, Eurocom President. All Eurocom Mobile Workstations are fully customizable, allowing customer to choose exactly the components they require for their task. From NVIDIA Quadro K5000M and K3000M graphics to 3rd Generation Intel Core i7 Processors Extreme or 6 core Intel Xeon Desktop Processors. Eurocom Mobile Workstaitons are designed for the new breed of Engineer who must travel but still needs access to powerful, reliable and long lasting professional grade hardware. “The stability of our systems during CAD operations comes from a lot of work from our technical team in terms of testing drivers and testing applications to make sure things work perfectly” explains Mark Bialic, Eurocom President. Eurocom Mobile Workstations are able to run high end applications and process large amounts of data with up to 32 GB memory with DDR3-1600 memory. NVIDIA Quadro K5000M is manufactured on the newest 28nm kepler based GPU architecture from NVIDIA and is the most powerful professional-class mobile GPU from NVIDIA, delivering unseen efficiency and compute power. With a massive 4 GB of Error-correcting code video memory and 256 bit bandwidth, users can display extremely complex scenes and models as well as calculate large datasets with ease, on the go, thanks to the EUROCOM Scorpius High Performance Mobile Workstation Computer and NVIDIA Quadro K5000M. ECC memory detects and corrects common types of data corruption and is ideal for professionals who cannot permit data corruption. NVIDIA Quadro series graphics offer certified drivers that are optimized for stability in professional grade CAD, CAM, DCC software applications. “Eurocom Mobile Workstations help engineering companies to innovate, become more efficient, productive and offer customers new design services faster at a lower cost. Being able to travel to customers and stake holders locations with capable mobile hardware is a huge advantage for our customers” explains Mark Bialic, Eurocom President. -Graphics: Dual GPU support. NVIDIA Quadro K5000M, K3000M. -Graphics: NVIDIA Quadro K3000M, 5010M.